Have you done this yet? It’s amazing, you need to add this to your weeknight meal ideas. Outside of the dough, which you can buy at markets like Trader Joe’s and Fresh & Easy, it takes about 10 minutes and it’s amazing. Pizza in your grill pan! If you don’t have a grill pan, use your cast iron skillet, of you don’t have a cast iron skillet run (don’t walk!) out and buy one right now. Without question it’s my favorite, most versatile cooking device. With it I’ve made brownies, bacon fat biscuits, chorizo egg breakfast skillet, countless chicken recipes, the perfect roasted potatoes, queso dip, bread, and now here we are with this fabulous pizza. I own a cast iron grill pan (above) that was quite spendy, as well as a $9 10-inch cast iron skillet from Target. Both perform about the same. As much as many companies would love for me to tell you to run out and buy that $125 one (which, let’s be honest, I totally want), that $9 Target one has been a work horse. Once you get your grill pan, check out Megan’s advice on How to Care for a Cast Iron Skillet. But lets talk about that dough for a moment. This takes about a half of a standard pizza dough recipe, which usually yields one pound of dough. Which means you can make two pizzas (thats the Joey Special for all you FRIENDS fans) or save the other half for another night. My favorite pizza dough recipe takes about a day to make, but Averie has a one hour pizza dough recipe that looks awesome. I’ve also had fairly good luck with dough from Trader Joe’s. This is my favorite way to make a pizza right now. Pizza stones are great, but I always seem to have some struggles getting the raw pizza from the peel to the stone. The cast iron gives it that nice bubbly, crispy and slightly charred tasted of grilled pizza and it only takes ten minutes. In a medium bowl, sitr together the cream cheese, sour cream, spinach, garlic powder, salt, peper and red pepper sauce, set aside. On a lightly floured surface, roll the dough out to about a 9-inch circle. Lightly brush a 9-inch grill pan with vegetable oil. Heat over high heat until just starting to smoke. Add the dough circle to the pan. Cook until browned on the bottom, about 2 minutes. Flip and immediately spread with the spinach dip. Sprinkle with cheese, top with artichoke hearts+. Cook until the cheese has started to melt and the bottom of the dough has browned, about 3 to 5 minutes. love the looks of this, Jackie! Pizza in a cast iron skillet. NICE! Thanks for the link on my 1 hour pizza crust! of course! That recipe looks amazing. I’m like those dogs in cartoons whose mouth is hanging open with drool pouring out. I want this. I love this, Jackie! I have a square grill pan and I love it! I have yet to try grill pan pizza though…that will change ASAP. This looks amazing! Thank you Helene! That tarte flambé sounds amazing! I’ll have to look up a recipe. Ok..I need and will make this! I have a a large cast iron, medium and 2 small individual ones. How cute would it be to make pizza in the small ones! Done! This is fabulous, Jackie! Pizza in a skillet – gotta try it! You my friend are amazing-This looks fabulous! Grill pizzas have been staring me straight in the EYE – it’s time I bust out my pan for one of these! Holla!! And thanks for sharing the pan-lovin’! Doooo it!! Dessert skillet pizza? with nutella? Love the grill pan pizza idea And these toppings look divine! Just when I thought I couldn’t love my cast iron skillet anymore, I found out I can make pizza in it! Mind Blown. This is my FAVORITE way to cook pizza. I go back and forth between a traditional crust and deep dish (I live in Chicagoland now, so I have to respect the pizza culture when I cook for the boyfriend/Chicago friends) but either way is amazing with cast iron. I have a fifteen minute pizza dough recipe that I easily use once a week – I don’t even do the traditional rises anymore because I love my quick version so much! The fast dough gives me more time to sit on the couch watching FRIENDS Story of my life. Fridays are usually take-out pizza nights but I may just have to make this instead! This post was such a welcome read right now! We have a trader joe’s pizza dough sitting in the fridge AND it’s Friday (ie pizza night!). 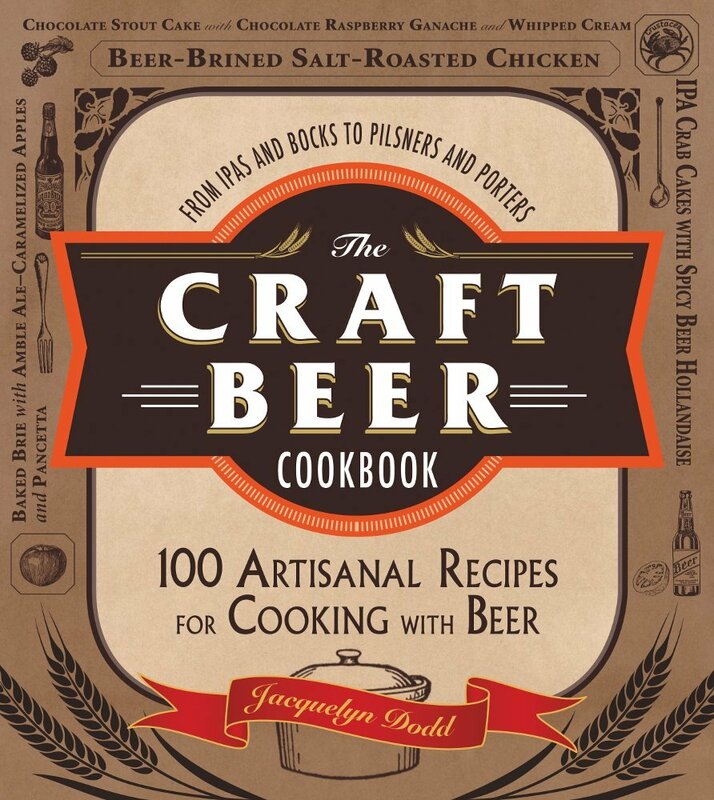 Officially know what I’m making for dinner! 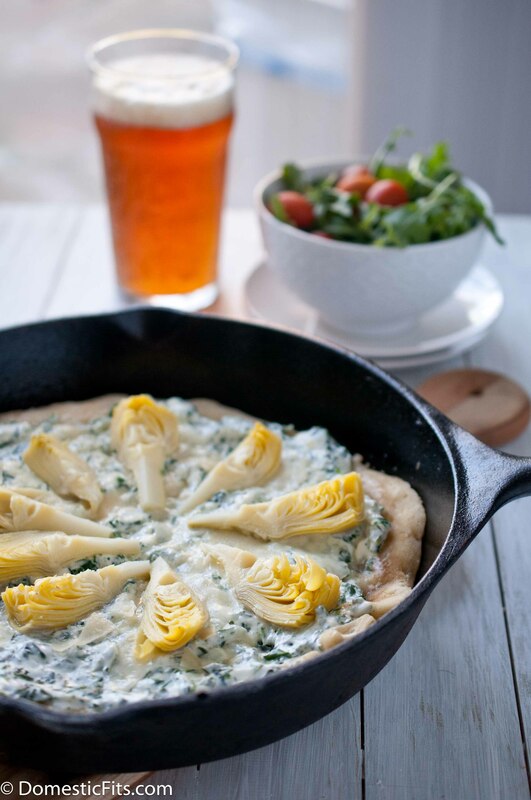 Spinach and artichoke dip on a pizza–oh, I am swooning a little bit right now. I need to try making pizza in my cast iron skillet! I have never made pizza in a skillet like this. It looks like a great idea though and this pizza is quite amazing! 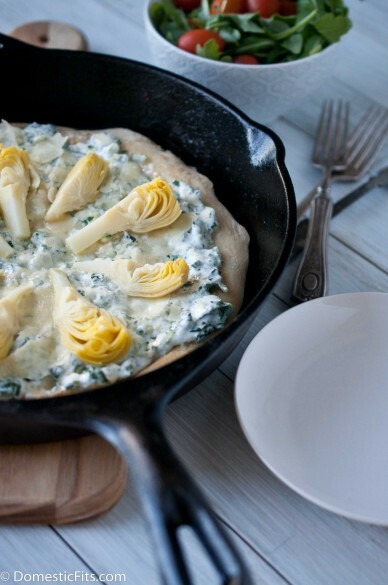 I have never made pizza in a skillet–although now thanks to your recipe I must give it a try! Opportunities are endless here… can’t wait!